laser f-theta lens can be used for laser marking and laser engraving, work with marking head(laser scanner). In most of the cutting edge laser machinery, laser optics will be incorporated into system to realize various applications like marking, drilling, welding, dicing, scribing, cutting, engraving etc. F-theta scanning lens is used in conjunction with XY galvanometer scanner and beam expander to form a two dimensions scanning system. 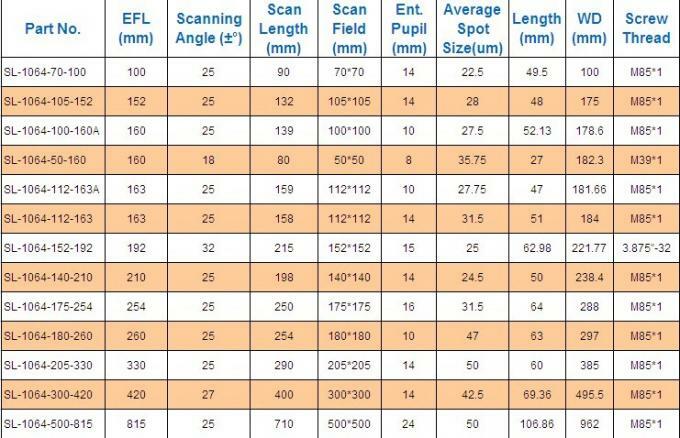 The scan lens is optimized to provide a flat field image with diffraction-limited spot size in micron scale over the entire scan field. The image field height is almost directly proportional to the scan angle. Typically, the linearity f-theta distortion is kept less than 1% without software correction to ensure minimal distortion. High transmissive AR coating is coated onto the lens elements surface to ensure minimal power loss and hence increase the throughput. 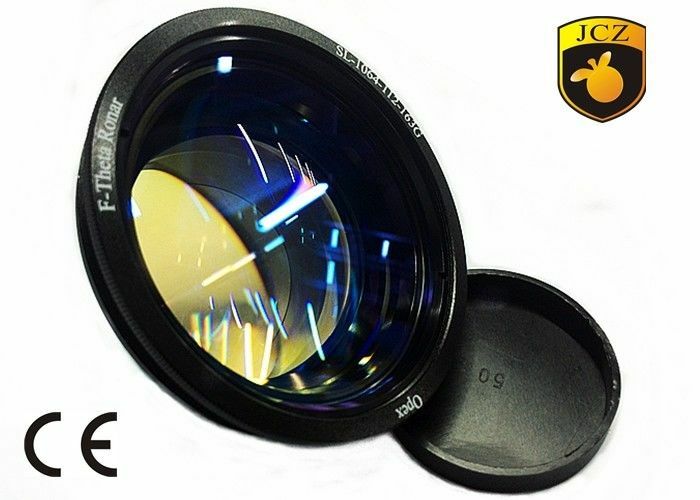 The scan lenses are designed with a industrial standard M85x1 mount threading to facilitate lens installation into laser machine. To accommodate different standard mount thread, mount adaptors are available for ease of conversion. Most of our products are RoHS compliant unless otherwise stated.